OK, so I’ll admit it. I’m an Apple fanboy, and have been since making the switch to Macs in 2005. For geek profile purposes, I would tell ya that I’m an early adopter, and a realist about problems that may show up. It’s hardware, and software, and even though there’s tight synergy granted from both sides of that coming from the same complex in Cupertino, I recognize that things will go bump every now and then. That said, let me introduce you to my latest saga with the Apple ecosystem. 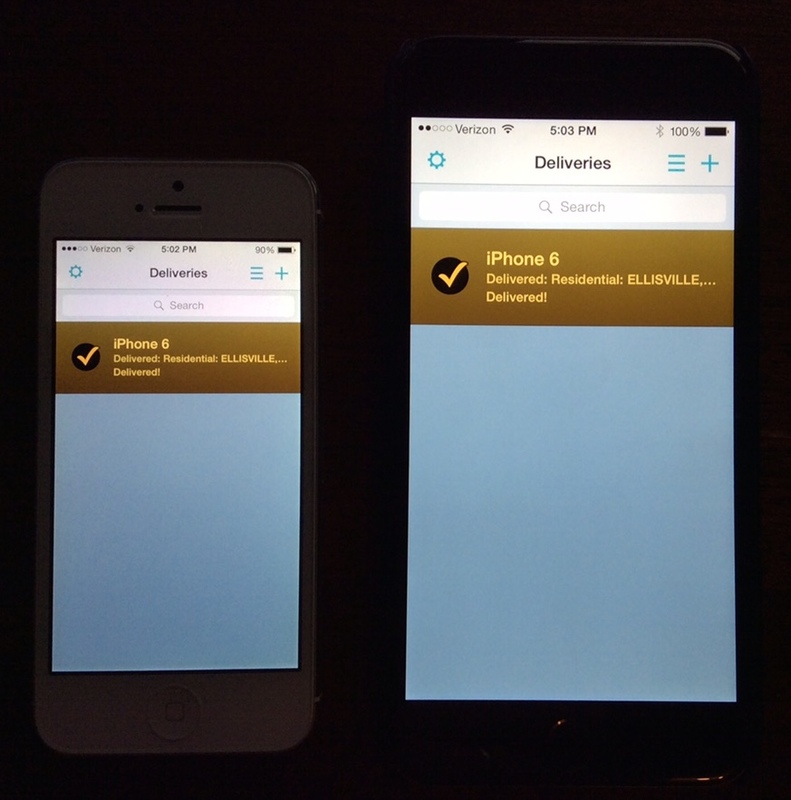 AirDrop is a pretty cool technology that allows Macs, and now iPhones with iOS 8, to create short-lived, ad hoc networks to transfer files. This is pretty cool, especially if you use your iPhone as a primary form of photography (And for Rick and Tom, I’m not naming names here! ), and for probably other uses as well. Once I got both Yosemite and iOS 8.1 down, I wanted to give AirDrop a try. The first prompt I got was to turn on the wi-fi card in my late-2013 Mac Pro cylinder. As a note, I don’t usually keep wi-fi enabled on my Mac Pro. This machine never travels, and does some big data moves across my network, so hardwiring it at gig-e speeds just makes sense for me. When I tried to turn on the wi-fi on my shiny cylinder o’ fun, I clicked the button on the network preferences panel… and nothing happened. I clicked it again. Nothing. And like any good techie, I continued clicking it periodically over the next few minutes. Nada. I decided to restart my Mac, and as though by magic, I was able to turn on wi-fi in my system. I played with AirDrop, and then turned off wi-fi. Fast forward to yesterday. I took a walk at lunch. Normally, I use a Garmin Forerunner 310XT to capture my travels, but for some reason, it was having trouble finding the satellites, so I did my walk, and then wanted to check the distance. My go-to answer for years has been Google Maps, but I figured that since Apple had included this cool Maps application on the desktop, I’d use it. Well… it barked about not being able to find my position without wi-fi being turned on, which means the app barks incessantly about how it can’t determine my location. I even tried to feed it my location to shut it up, and it still was pretty dang insistent. I know my Mac doesn’t have a GPS device embedded in it, so it’s obviously using my wi-fi network name to figure where I am, based on the network I’m connected to. If I’m out in public, that’s pretty cool. Sitting in my house, that’s a little creepy. TMI, say I! However, that misgiving aside, I turned on my wi-fi. Once again, I was left with a wi-fi system that didn’t seem to be active, regardless of what I’d do. Once again, I restarted my machine. I paid close attention this time, and noticed that the wi-fi was on when the machine came back up. Whether I had hit the button an odd number of times, resulting in the post-reboot status being active, or if it just remembered that I was trying to turn it on, my cylindrical Mac came back up with wi-fi happy. Oh, and Maps was much happier as well. So, what’s this mean? I’m not entirely sure. Except that I need to be planful around when I want to use AirDrop or Maps, or anything else requiring the lil’ Mac Pro to have its wi-fi enabled. I’ve done a ton of searches on this issue. Unfortunately, there are loads of as-yet-unresolved issues with Yosemite around wi-fi performance and dropping networks, and those are clouding my searches with a lot of wild goose chases. If I had to guess, I’d bet that something is being flagged to turn on wi-fi, but can’t complete until after a restart for some reason. Or, wi-fi is really active, but all the indicators in the network preferences aren’t there. I should probably watch my Apple network gear (using my iPad or iPhone) to see if there’s every anything showing up on the router’s side, which could help narrow things down. Just a little spot on my otherwise shiny Apple! First off, the device is big. Really big, and that’s something that’s probably important to some people. For me, the way I use my phone is more as an Internet terminal rather than a phone, so the larger size is not all that important. When I need to use my phone as a phone, I’m usually using it with the speaker phone function turned on, so that mammoth physical size is really not that big an issue. And frankly, while the width and height are generous, the thing is really slim, and doesn’t seem to weigh a ton. And yes, it does fit in your pocket nicely … at least in my jeans. If you’re a painted-on skinny jeans person, first off, I’m jealous, and secondly, it probably ain’t gonna fit in your pocket nearly as well as me in my baggy 550’s. I love the rounded corners. I tend to vacillate on this quite a bit. When the iPhone 5 came out, I wasn’t a huge fan of the sharp edges, but I grew to like ’em. Now, the smooth contours of the iPhone 6 Plus have really seduced me. It feels slick, curvaceous, and well molded for your hand. I did buy a case (Spigen Thin Fit A), and while the case nicely fits the phone, and feels very protective, I really like the feel of the phone without it. This case is small enough (but still sturdy!) that if you didn’t know the phone had a case on it, you might mistake it for part of the phone. I’ve run with my phones both naked and covered, and this might be a phone that is prone to running around naked. It’s just that nice. The new screen is gorgeous. It’s full 1080, and watching HD video on it is a dream. Star Trek: Into Darkness is my favorite film to show off the crisp new display. It just rocks on this device. Really, really sharp, clear images from a well-done HD film. One of the factors that drove me to this model over the regular iPhone 6 was the optical image stabilization in the camera. On paper, this sounds like a really good thing. In practice, I’ve only shot once where I was rocking’ and rollin’ (in the Jeep, handheld, going over some rocks), and it seemed to make a difference. That’s not very scientific though, and is something I should try in a little more controlled environment against something like a GoPro, that doesn’t have IS. Battery life seems to be much nicer than my iPhone 5. I’ve found that the Facebook really drained the battery on my iPhone 5, and that seems better with the iPhone 6 (and that was with running the new iOS on both phones). On the iPhone 5, I’d drain out to about 30% across a day of normal usage (including Facebook). On the iPhone 6 Plus, I might drain down to 70% or so across the day. And I really like TouchId. Being able to identify my via the “belly button” is awesome. I love not having to key in a passcode to unlock, and now having some applications using that as authentication within the application just makes it more magical. Very, very cool! Now for the ugly… The buttons. The case redesign moved the volume and power switch, and I’m just not a fan of where they landed. I like the fact that the power button isn’t on top, but my muscle memory always goes to the right side of the phone for volume, and that’s where the power button was relocated. So when I try to change volume when listening to music, I turn off the iPhone. Boo. It’s just retraining, and I get that, but for someone that relies on knowing how to use his tools without looking, I don’t like changes to where controls are. That’s one of the reasons that I tend to stick with the same brand on my toys — Canon cameras, Taylor guitars, etc. — so there’s not much (if any) retraining of my old brain. I’m sure there’s a reason the volume control was moved, but I think you could move the power switch without relocating the volume control too. One more thing I’d mention is the camera lens. I really don’t like that the lens protrudes beyond the back case. I don’t think you could hurt it, but that’s another great reason to have a case on the thing. It’ll definitely keep it flat on a table. So… a whole lot of goodness, and just those silly button relocations as a negative for me. YMMV! 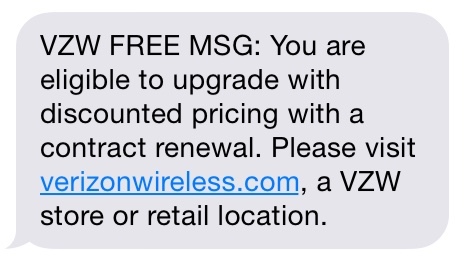 We’ve been with Verizon for the last two years, and it’s been a good relationship. Unfortunately, Darla and I came into our iPhone purchases a little late, so we weren’t eligible until early October to order new phones, and I had resigned myself to a new iPhone arriving sometime in November. Until today. One of my coworkers clued me in that Verizon had changed the eligibility for some folks, so I called #874, and waited for the return text message… Success! With that, I pounced on ordering my new phone. I skip every other version, so my iPhone 5 was starting to look a little long in the tooth. I had a smaller memory model, expecting to leverage the cloud for my files, and while I’ve done that, I also like having my stuff with me. With the announcement last week, folks have been asking me what model I was going to order. Frankly, it was a pretty easy decision for me. I use my iPhone more as a internet terminal than a phone most of the time. And when I am using it as a phone, it’s either Bluetooth tethered to the Jeep, or on speakerphone mode. I rarely hold it to my head. With all that in mind, true 1080 HD resolution, and optical camera stabilization, it was easy to fall in line behind the iPhone 6 Plus. Capacity was another question though. For years, I’d bought the largest amount of storage I could get on my Apple i-devices. In my last round of purchases, I’d opted for a smaller memory footprint, and leverage stuff in the cloud. However, after two years of working within a small footprint, I’ve decided bigger is better, and opted for a 128GB device. And if you’re keeping score at home, I ordered a Space Gray. With all that said, the target delivery date range is October 16th – 23rd. Had I ordered on October 3rd, it really would’ve been November! I’m looking forward to playing with the new camera more than anything else. I’ve always been impressed with the ubiquity of my iPhone, and it’s been my “best camera” because it’s the one that’s with me. With the camera improvements, I expect that’ll get even more use from me. And with the larger storage, I’m betting I’ll use it as much as my other camera rigs. So watch this space — a month from now! — and we’ll see just what the iPhone 6 Plus brings to my world! Another day, another new toy. Today’s is the Logitech FabricSkin Keyboard Folio. Plug it in (to charge it), insert the iPad into the pretty dang secure holder, and it was ready to pair with my iPad. From unviolated box to paired and typing in about 90 seconds. Pretty cool. I will mention that the keyboard has a funky feel. It’s a covered, slightly membrane-like keyboard, so the keys have a little funkiness to their feel, both from the fabric and from the short throw action. However, it’s definitely better than typing on the glass, and I’m noticing just through typing this up, I’m getting used to the feel a bit. More to come, I’m sure, as I play with this gadget on a more regular basis! For a long, long time, I’ve wanted to get my digital life in one place, while still having the power to do what I want. Oh, and I wanted to be able to carry it everywhere — inside the house, to work, on vacation. Yeah, I just want everything. Doable, yes? Well, not really… until now. I’ve tried to put everything in one place, and force all my work into one device. That was with an old MacBook Pro. I was landlocked at 6GB of RAM, which wasn’t enough to handle my work, and once I started talking about 100,000 images, that pushed me to external drives, which killed my throughput. Add to that a spinning harddrive inside the laptop, and it wasn’t quite as portable as I’d like. For power, I moved through an eight-core MacPro, and eventually landed on an eight-core iMac. That iMac has been great, although the speed for external drives hasn’t been terrific, with Firewire 800 being as fast as it goes. When the MacBook Airs hit, I picked up one, and it’s been a great “on the go” machine, but definitely not the power nor speed for external storage that I’d like. Still, it’s a nice machine. Enter the new MacBook Pro with Retina Display. This little box seems to have it all. 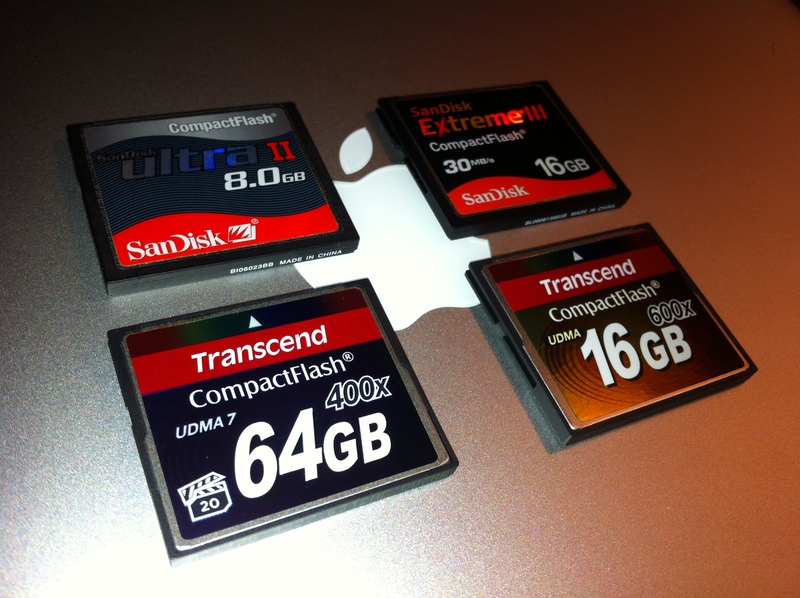 Internal solid state drive — quick boot, and safe to move the machine quickly, like the MacBook Air. For external drives, there’s USB 3.0 and Thunderbolt connectors, which are both way faster than Firewire 800 or USB 2.0. Processor-wise, it’s an eight-core beast with plenty of speed. It can be custom-built with 16GB of RAM, which is as much as I had on the iMac and is more than enough for my needs. And then there’s the screen. I took a look at one at the Apple Store, and was just gobsmacked. It’s the most amazing screen I’ve seen on a laptop. The 15″ screen has more pixels than my 27″ iMac had. And stunning, stunning color. Notice all the past tense references? Well, that’s ’cause I’ve drunk the Kool-Aid, and have one of these beauties on order. Unfortunately, delivery is gonna take a month. Apparently, they’re flying off the shelves, and Apple can’t make them fast enough. If you’re Apple, that’s a great problem to have. Stay tuned… once the little guy shows up, I’m sure I’ll have some comments about it!!!! Yeah, yeah, it’s been two weeks since my Memorial Day missive. (Thanks, BTW, for all the kudos on the piece — biggest “hit” day ever on the blog.) It’s time to get back on the wagon, so we’ll get a little stream o’ consciousness about some of the new toys in the Deauxmayne. I’ve had a MacMini for years. In fact, my first MacMini was a 1.42GHz G4 MacMini back in 2005. That was a cool little machine — teency, reasonably fast for what it was, and a great infrastructure machine (at the time, I also had a G5 iMac). And, it was my first foray into the weird little stepchild that is the MacMini. A year later, I upgraded to a 1.66GHz Core Duo MacMini — one that I was still using as an infrastructure machine until the latest acquisition. Again, a cool little machine, with plenty of upgrade potential. Getting the machine open required the use of a cake icing tool (seriously! ), and I got inside it several times to upgrade memory and hard drives. In fact, until a year or so ago, it was the “server” this site sat atop. Enter the recently announced OS X Lion. Looks like it’ll be a great new OS, but it’s hardware bar-to-entry is a little higher than my lil’ ol’ MacMini could provide. So, after five years, it was time to move on to new hardware. I picked up the new little 2.66GHz Core 2 Duo MacMini last week, and was really impressed with the size. It’s thinner, albeit a bigger square than its predecessor. And along with that thinness, Apple learned a lesson from the AppleTV, and dropped the power brick — a single cable plugs into the back, and that’s it. What a great improvement! Another nice touch are Mini DisplayPort and HDMI ports on the back for video. No more bulky DVI connector! There’s also a FW800 port, and four USB ports — all good things for the way I’m using the little box. Apple also put an SD card reader in it… but it’s located on the back on of the machine. That’s a really, really, really weird place for a slot that you’d figure someone might be using a lot if this was your primary machine. Firstly, it’s a print server, serving up my Canon multifunction printer to all the machines on the network. Printing from everywhere is a great thing! Secondly, it’s a backup machine. Using Chronosync, I backup my recently-acquired Western Digital My Book 4TB array (from the iMac) to a pair of Western Digital My Studio 2TB drives. One gets the photo and scan archive, and the other gets the rest of my digital life — documents, software, etc. Lastly, I have it set up for video import duties. I can import via my EyeTV device, or from my Canon ZR70MC digital camcorder. It’s got a nice A/D import path in it, and with FW800 in the new MacMini, it makes importing video a breeze. Are there other things I could do with it? Maybe… probably. For now though, I’ve got a pretty cool infrastructure machine that just percolates right along, without me having to worry about it at all. That’s solid, and it just works.